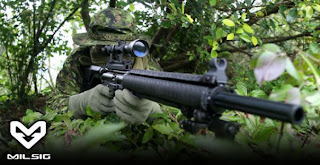 The CEO of Milsig, Nelson Lau, was once again kind enough to answer some of my questions concerning Milsig in 2012. The last time we had an interview, you spoke of internal restructuring and improvements within Milsig to meet the increasing volume of customer service requests. How did the execution of your plans go? The restructuring is ongoing, but so far so good (fingers crossed)! I’m personally running the new marketing campaign, the first thing I did was to start a new OFFICIAL MILSIG Facebook page and a separate FB page for MILSIG users. MILSIG fans can and have been interacting with myself personally and other MILSIG reps directly via FB, and the community is steadily growing. I think the fans are happy with our new grassroots movement, and it’s a big step towards better interaction with our user base. The next thing we’re going to do is launch a new milsig.com website. MILSIG Canada has been running all the online marketing up to this point, but I feel that the brand and the main distributor of MILSIG products need to be separated as it’s confusing for the customers. 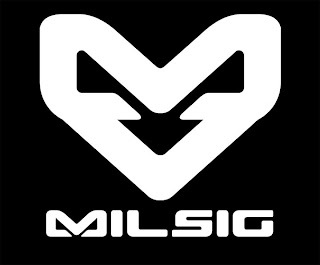 The new MILSIG.com site will be the official brand website that strictly focuses on MILSIG products and nothing else. It will have tons of useful info, from product descriptions to how to videos, to FAQs; everything you’d hope for and expect in a professional dedicated brand website. As for bettering customer service, all MILSIG distributors worldwide have hired additional MILSIG dedicated staff to better serve our customers. So far, the response to the improvement in this area has been very positive, and we hope to keep building on that experience. What does the introduction of PsiOps mean for the Milsig brand? Doug and I have known each other since I started MILSIG and we hit it off right away. We share a similar vision towards the paintball industry and we had always favored a new style of play in Mag Fed. Doug can probably be considered one of the living legends of paintball and his reputation in customer service and product knowledge precedes him. I’m very confident that the partnership will be very successful as having PsiOps as the “go to” place for MILSIG in the USA is great for not only the MILSIG fans down south, but for MILSIM paintball as a whole. Both yourself and the Milsig national brand appear to be more active on various social platforms online, is this indicative of a new paradigm of customer connection within Milsig? I think for paintball to not only survive but to return to prosperity, we need to go old school grassroots. Reps of companies need to be on the ground level with the users, and I think the players as a whole are sick of all these faceless companies. Our users basically told us that they don’t want to be dealing with people that don’t use the products themselves, who don’t play, who don’t truly understand the inner workings of the system they sell inside and out. They’re sick and tired of being “deflected” and left out to fend for themselves. Our new initiative reflects our new commitment to bettering customer service via better, clearer, and more direct customer interaction. What are your thoughts on the release and reception of the K-Series Mk.II? The release of the K-Series MK II was mostly a success. We had implemented a lot of fixes to the K-Series system that addressed the most common complaints. We also made the products significantly cheaper. We’ve actually seen a surge in sales volume through traditionally slow winter months; sales figures don’t lie and it is a clear indication of a positive response. On the other hand, there’re some nay-sayers that thought we didn’t do enough with the improvements and some even thought we went backwards a little bit with some of the changes made. My response to that is very simple: We made the product better AND cheaper at the same time, so there are some compromises that had to be made. AND... Due to the GREYOPS feedback on the utter crappiness of the sights on the CQB PRO, we will replace them with a better set in the next release. Will 2012 hold more major product releases for Milsig? Absolutely, we’ll start releasing some products at the PBE (Feb 28 to Mar 1). If all goes well, there will be more as the year progresses....so stay tuned and make sure to follow us on FB! Happy customers at MILSIG nation and a huge Mag Fed boom! A huge thanks goes out to Nelson for taking time out of his very busy schedule to answers my questions. As always, if you guys have questions that are left unanswered please write them below and I'll be sure to answer them as best I can (and you never know who will turn up in the comment section). Be sure to check out the links in the interview text if you want to stay abreast of everything Milsig this year.